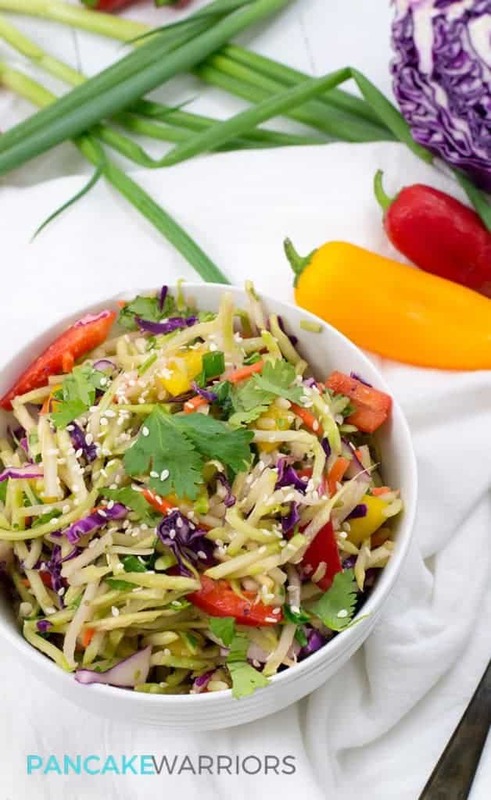 Sesame ginger broccoli slaw is the perfect side dish or can really shine as the main dish with the addition of healthy protein. Vegan, paleo, gluten free, and ready in just minutes. An added bonus, it keeps for days in the fridge so it’s great for meal prepping as well! This sesame ginger broccoli slaw has been one of my go-to lunch options, since it doesn’t wilt and I can make a huge batch of it for the entire week and not worry about it getting soggy or gross like salad sometimes can. Because it’s so quick to throw together, this sesame ginger broccoli slaw it’s also a great dinner option for the days I get home late from training and I don’t want to spend a ton of time making dinner. I have made this with added quinoa, added hemp hearts, canned salmon, canned tuna, and smoked sardines. I’m not lying when I say this is one of my go-to meals recently! Part of what keeps me healthy and full of energy is eating a diet of whole foods. Organic veggies, omega-3 filled foods like sardines and salmon, and making most of my food from scratch, including sauces at home. 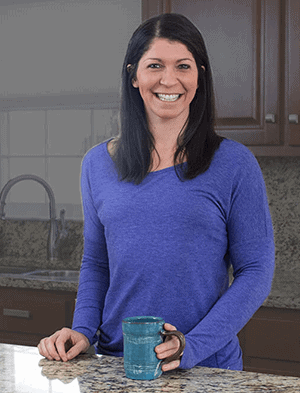 It takes just an extra second, but for me that energy and time is well worth the effort since I get to decide the ingredients and how I am going to fuel my body. I make these choices even when I’m tired because I know what it is doing for my body long term. This is what I urge my clients to do as well. Meal planning and meal prepping on the weekend can make such a difference if you are choosing to eat a mostly whole foods, cook at home approach as well. It helps to get all the dishes dirty at once, to have healthy food waiting for you in the fridge and a plan to follow through on. If you aren’t meal planning already, this is one of the things that can really take your progress to the next level if you are trying to achieve fat loss. This sesame ginger broccoli slaw is perfect for meal prepping since it doesn’t wilt or go bad in a day or two. 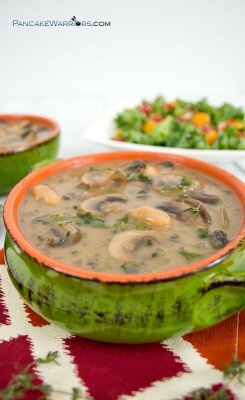 You can make a big batch and have it for lunch or dinner for a few days in a row without it getting slimy or gross. Just wait until the day/night you are eating it to add the protein. 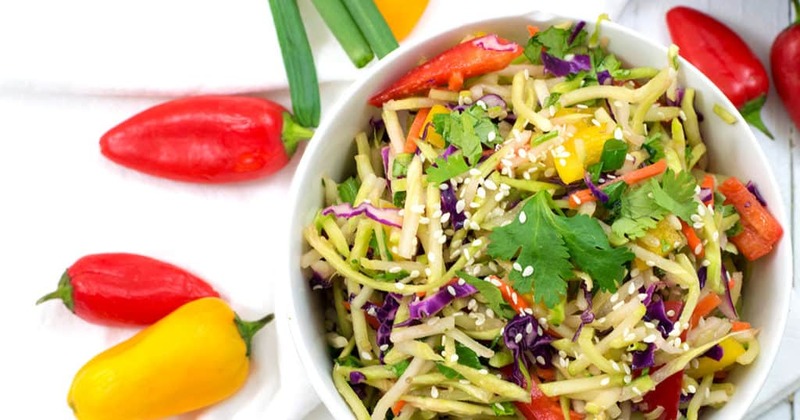 I took the shortcut and use the organic broccoli slaw from Trader Joe’s in this recipe. I really love how convenient this is and have found myself eating more and more broccoli lately because of it. Bagged broccoli slaw is also great used as pasta with some marinara as well! Super versitile, I always pick up at least 2-3 bags when I go shopping! The coconut aminos in this reipe are a paleo substitue for soy sauce. 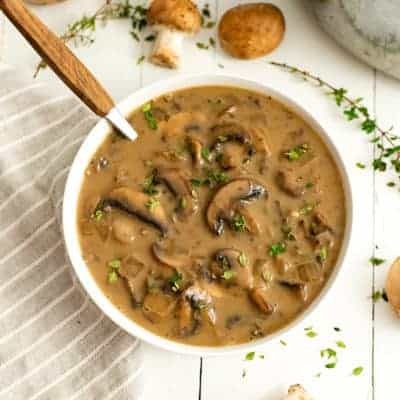 You could easily use soy sauce, gluten free tamari or Bragg’s liquid aminos in this recipe instead. I would urge you to make sure that the soy sauce you are using is from organic soybeans though! Because soy sauce is not gluten free, I don’t keep it in our house. The coconut aminos are a great substitue. 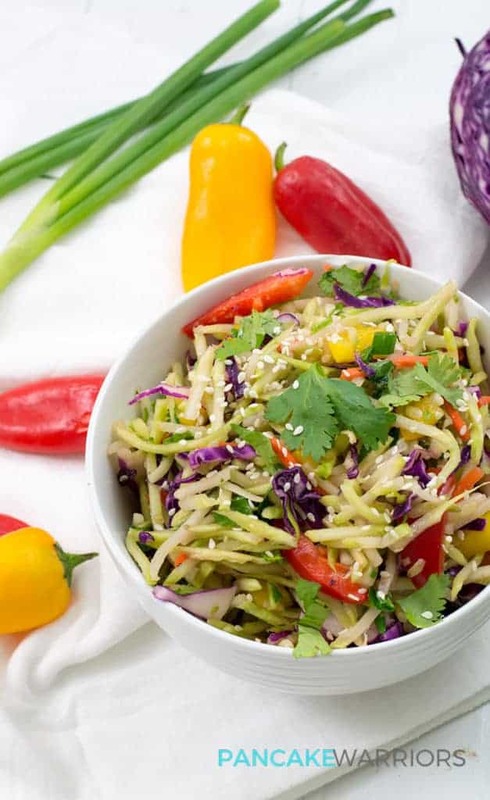 This sesame ginger broccoli slaw has a great punch of sesame flavor from the toasted sesame seed oil. This oil has a strong flavor, so be sure to use it sparingly! This recipe is great without the sesame oil as well! I buy a jar of minced ginger from the grocery store. It’s available in most healthy grocery stores or online! It saves a ton of time, since fresh ginger can be kind of tedious grate everytime I need it. Just be sure to keep it in the refrigerator once you open the jar! See just how easy this recipe is to make by watching the video below! 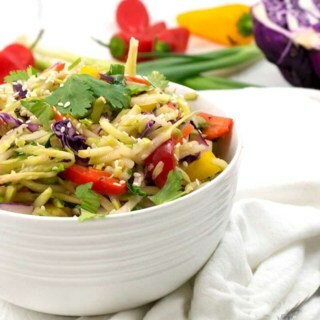 If you love slaw, don’t forget to check out this Pineapple Coleslow. In a large bowl, combine the coconut aminos, rice wine vinegar, lime juice, minced ginger, garlic powder, salt and sesame oil. Combine well. Add the broccoli slaw, chopped red cabbage and stir well to coat. Add red and yellow bell pepper, chopped green onion, and cilantro. Stir well. Top with sesame seeds and serve cold. What is your favorite way to use broccoli slaw? Do you meal prep on the weekend? This looks great. I’ve been looking for more cold salad recipes. 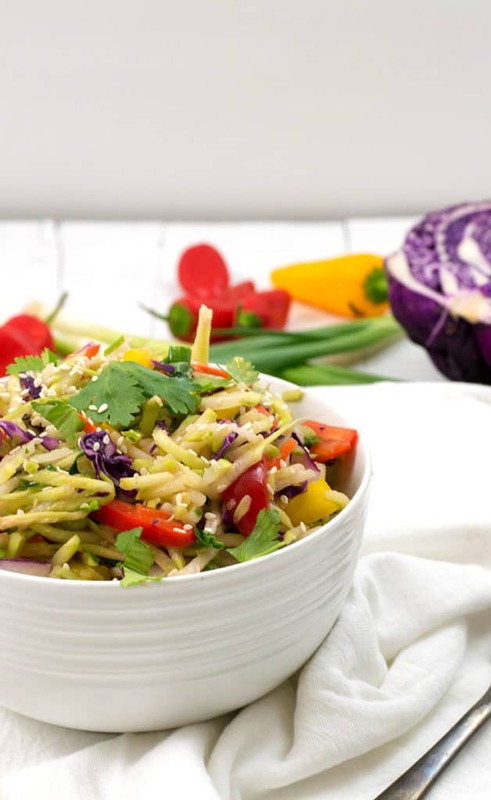 I love the crunch that broccoli slaw offers. Looks tasty, Sam!